Xiaomi has managed to become the leading smartphone vendor in India thanks largely to the Redmi Note 4 that launched in the market last year. As a result, fans have been looking forward to the release of the phone’s successor and indeed, the day is upon us. In addition to the Redmi Note 5, Xiaomi will also launch the Redmi Note 5 Pro, which as you may have guessed, is a superior version of the Note 5. To get a better picture of how superior the Pro variant is, you can check out our detailed coverage of the standard Note 5 here. As for what the Redmi Note 5 Pro has up its sleeve, read on. Android 8.1 is now available! Redmi Note 5 Pro root available, too! Xiaomi is not a stranger to the Pro moniker and just as you’d expect, the Redmi Note 5 Pro packs more powerful specs compared to the standard Redmi Note 5. While the design up-front is expected to remain largely unchanged, with the Redmi Note 5 Pro sticking to the same 5.99-inch 18:9 2.5D curved display screen and full HD+ resolution used on the standard Note 5, you’ll notice changes when you flip the phone around. 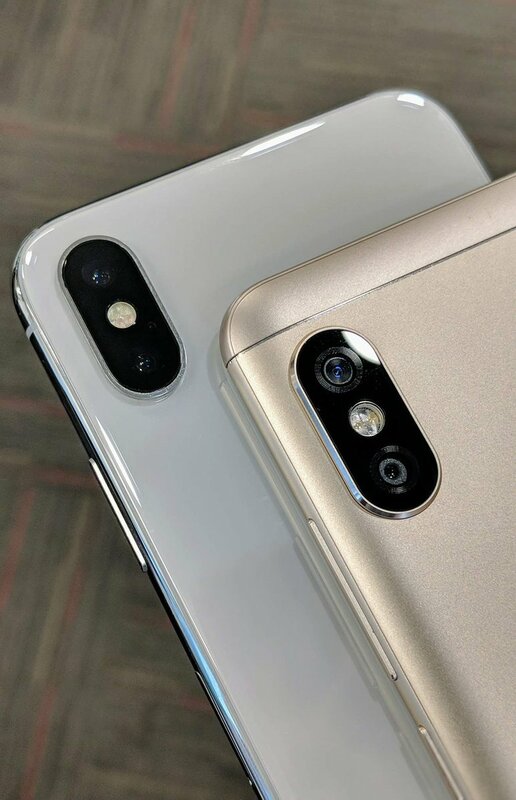 The back panel has an iPhone X-like dual-lens camera located in the same position with the LED flash between the 12MP and 5MP lenses. Of course, the Xiaomi Redmi Note 5 Pro still rocks a fingerprint scanner on the back panel and there’s no notch on the front panel. Rather, there’s a thin bezel at the top that houses a 20MP selfie camera alongside other sensors. This selfie shooter supports Portrait Mode and AI-powered Beautify 4.0 technology. There are even more impressive tweaks on the inside. The Redmi Note 5 Pro sports a Qualcomm Snapdragon 636 chipset, up from the Snapdragon 625 used in the Redmi Note 4 and Note 5. There are two RAM options of 4GB and a massive 6GB, but both variants get the same 64GB of expandable storage. In terms of software, the Redmi Note 5 Pro has Android 7.1.1 Nougat with MIUI 9.2 atop, but you can as well grab the new Android 8.1 Oreo as a beta. Prior to the latest Oreo update, the Note 5 Pro also received another small update that enabled the Face Unlock feature that had been disabled out of the box. 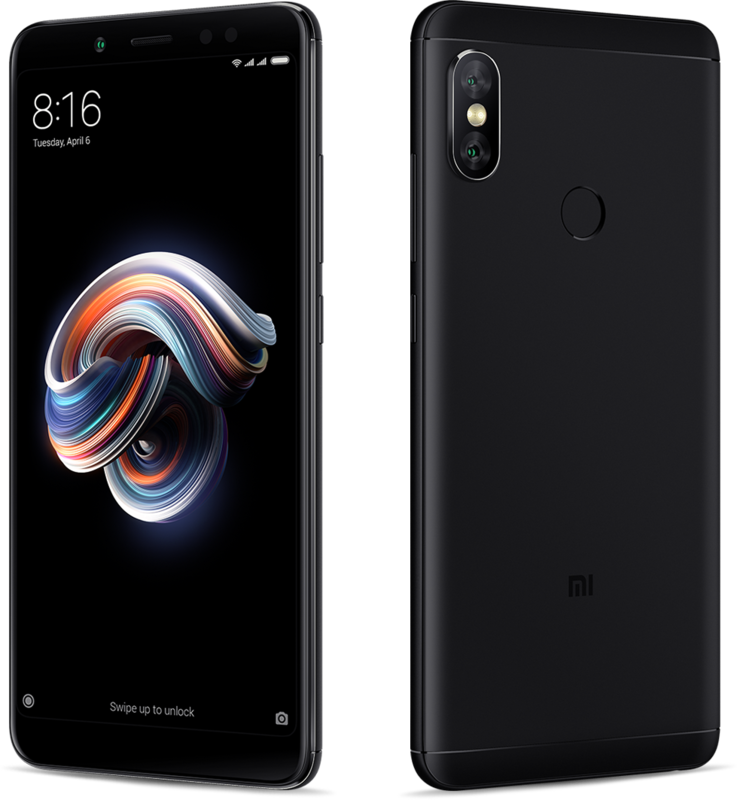 Xiaomi Redmi Note 5 Pro is one of the devices that have the company’s attention and thus it was among the first to receive MIUI 10 update when the software was announced. While the current version of the MIUI 10 available for Redmi Note 5 Pro users is still in beta, the stable version should arrive somewhere before September 2018. To grab the latest version of MIUI 10 for the Redmi Note 5 Pro and install it right away, check out this page, which has all the details you need to know not only about the update but also on how to install it on any Xiaomi device. For those who are in Xiaomi Redmi Note 5 Pro’s camp only for the hardware, there’s some good news for you too. The AOSP-based LineageOS 15.1 is now supported on the Redmi Note 5 Pro, meaning it’s time to get rid of the heavily customized MIUI and start enjoying the goodies of stock Android. You can grab the latest LineageOS 15.1 update via this page, which is also home to all Redmi Note 5 Pro software update news. Since you’ll need TWRP recovery somewhere along the way, we’ve also provided the download link on the same page. The team behind LineageOS is expected to come in with the updated version 16 probably before the close of the year. As you may have guessed, this version will be based on Android P, which is also expected to arrive on the Redmi Note 5 Pro based on MIUI 10 somewhere in late 2018 or in early 2019. Last year, Xiaomi unveiled two variants of the Redmi Note 4, but there was no Pro variant. One model had a Snapdragon chipset while the other a MediaTek chipset. This year, the two models of the Note 5 have Qualcomm chipsets, but one is more powerful than the other. The Redmi Note 5 has the same Snapdragon 625 chipset, 3/4GB RAM and 32/64GB storage as the Redmi Note 4. Which, unfortunately, means that for anyone looking to upgrade from the Note 4, the Redmi Note 5 doesn’t look like a true upgrade. On the contrary, the fact that the Redmi Note 5 Pro comes with a new design, more powerful specs, and features make it a true Note 4 upgrade. So, unless you are only interested in the external tweaks, the Redmi Note 5 Pro is what you should be looking at rather than the standard Note 5, but of course, the price will also play a huge role in your decision. Speaking of price, the Redmi Note 5 Pro will be priced at INR 13,999 for the base model and INR 16,999 for the high-end variant. With the kind of emphasis that the Redmi Note 5 Pro is built with the Indian buyer in mind, it remains to be seen if and when the rest of the globe will get their hands on this beauty. The Redmi Note 4 was not only a hit in India, but the phone excelled in pretty much every other market it was sold. Given Xiaomi’s push for global dominance, there’s no doubt the Redmi Note 5 Pro is headed for the global market as well. In order to unlock the full potential of the Redmi Note 5 Pro, rooting is necessary. However, to do this, you’ll need TWRP recovery, which, lucky enough, is already available. Rooting your device opens a whole new world, but make sure you know all about it before proceeding with the process. If new to rooting and would like to unlock your new camera beast, well, here’s how to root the Redmi Note 5 Pro. Like any other smartphone, the Redmi Note 5 Pro is full of tricks, especially based on the new MIUI 9 skin, but it isn’t short of problems too. Now that Android 8.1 Oreo is available with a new MIUI 9.5 skin, you can expect even more tricks up the Note 5 Pro sleeve, but since it’s in beta, problems are bound to happen, too. Is Redmi Note 5 Pro waterproof? As you’d expect from any device coming from Xiaomi, the Redmi Note 5 Pro is one of the best, if not the best, in its class. But this doesn’t mean there’s no competition, especially in terms of price.